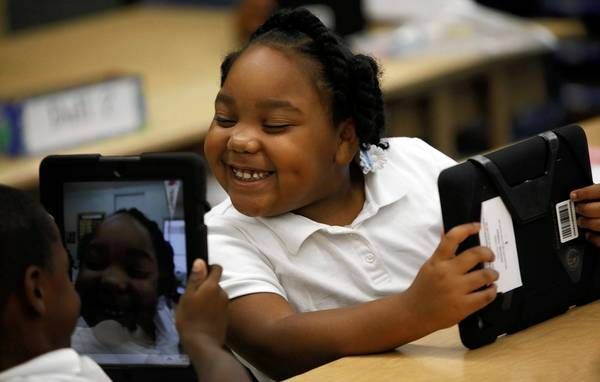 The Los Angeles Unified School District is in the process of rolling out iPads to all of its students in 47 K-12 schools. It’s a huge educational partnership for Apple, and the goal is to have students use the iPads to help learn the curriculum. Apparently LAUSD didn’t anticipate that students would be able to easily hack around the security measures on the iPads and use them to surf the web and download apps. Hundreds of students at Theodore Roosevelt High School have already broken the restrictions, and the district is considering halting the iPad rollout until it figure out what to do. In this instance, bypassing the iOS restrictions in place isn’t exactly rocket science. It’s as easy as uninstalling the educational profile in the iPad’s Settings app. Thinking that students wouldn’t find a way to get around it immediately was naive on the district’s part. Apple has included new MDM options in iOS 7 that let teachers remotely lock or unlock iOS devices into a specific app. Educational institutions are still exploring how to implement iOS devices in the classroom. Schools named after Steve Jobs in The Netherlands only use iPads to teach.